Tae Sekihara is the manager of the beef hot pot (gyunabe, or sukiyaki) restaurant, the Akabeko. Tae is around 20 years old. She has a twin sister named Sae managing in a similar restaurant called the Shirobeko in Kyoto. Sanosuke also owes her a seemingly large sum of money in which interest is accounted for. 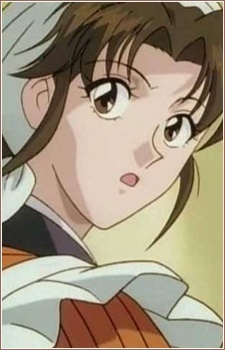 In the anime, and a bit in the manga, she has also tried to push the relationship between Kenshin and Kaoru since it seemed it to her that it was not working.